For any e-store owner, shopping cart abandonment is a major problem that needs to be solved. When it seems that situation is desperate, and there is no possibility to right the ship, merchants don’t need to forget about some efficient hints. Are you willing to know how to save a business and convert the potential shoppers into loyal clients increasing a revenue? Most of these tips and tricks are not a kind of magic, and just after implementing store owner can observe the changes regarding abandoned shopping cards. Unexpected costs and just browsing. In this case clients make a decision to search for a better price or just browse to compare the costs in different online shops. Also, this point includes too high shipping cost. Consumers have a negative experience, when their shipping price makes a bundle or even is more expensive than the purchase itself. Uncomfortable buying process. Lack of usability, inattractive store front look and time-consuming checkout are the main factors that spur on to leave the shop without finishing purchase procedure. Make your product pages attractive not only with stylish design, but also with details that make shopping convenient: navigation, images and size charts. Be honest with customers not hiding any additional costs or shipping charges. If an item is out of stock, don’t forget to inform clients that it is already available. Be sure people evaluate such attitude. Moreover, place reviews and ratings, so customers can trust you more. Regarding visuals, you just have to add photos or even videos with your products to keep an eye of the client. Inaccurate images or incorrect product description can influence on a loss of sales. Customers will never ever return, if they get an item that is unlike the ordered one. It may be a real trouble, when once a concerned client leaves a negative review on a third-party site or social media profile. If your products are wearable, it is just a must to provide a size chart. Don’t make your customers doubt whether an item will fit them or not, as the result of such afterthoughts can be a switch to another website. Provide an excellent user experience that will help you to turn active site visitors into customers. One of the bottlenecks is usually considered to be a checkout procedure annoying customers. You need to let them know how many steps are left to finish shopping. Clarifying the length of a process, for instance with a progress bar, can considerably enhance their experience and will not make them conjecture about further actions. Don’t force to register. 75% of customers leave their carts when they are offered to register. Add images. Provide clear product thumbnails to assure the customers of what they are buying. Stick to simplicity and clarity. All forms need to be clear and simple. Don’t forget about possibility to edit products (swap, delete, change quantity). Offer multiple payment methods. Let clients choose the options for paying for their purchases. It’s convenience for your profit. Include save function. Allow to save the cart, so customers can return and finish the shopping. Provide free shipping. Be sure it will have a positive effect on your revenue. Recently, The Payroll Blog has published an infographic that demonstrates why customers go without paying. Discover the issue with all details having a glance at this useful illustration. Was there aha moment for you? Don’t let your business meet a loss and go ahead for changes. Cart2Cart disposes itself for giving a hand of help to you and provides a possibility to change your current solution. Check how our service functions and migrate to be on a roll! 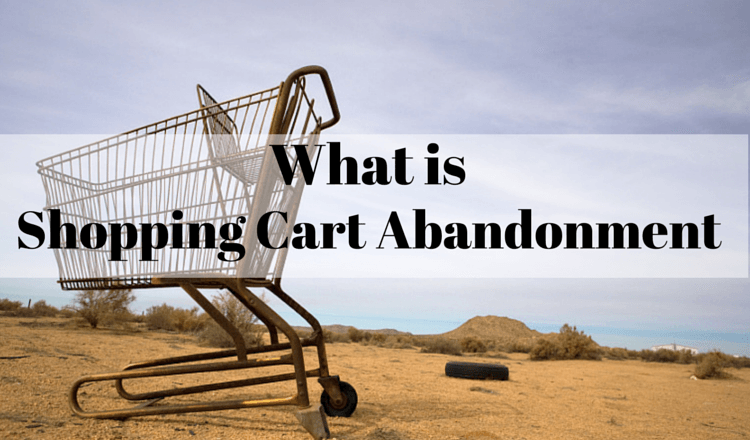 One thought on "Shopping Cart Abandonment: Reasons and Options [Infographic]"